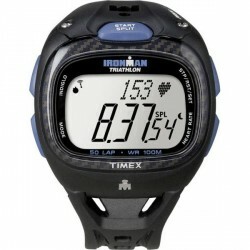 The Ironman Race Trainer displays all necessary performance measured values. 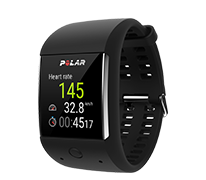 Offering 5 interval timers with individual heart rate target zones, you have got everything you need for an optimal organization of your workout. The set includes a USB stick for connection with a PC and internet. 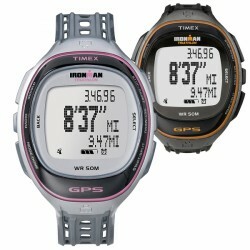 The Timex Ironman Run Trainer with GPS tells you how far, how fast, and how intensive you are on the road. After the course, the given performance as well as covered distance can be analysed online. Light, comfortable design: the Smartwatch for fitness enthusiasts! 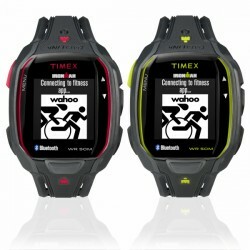 The Timex pulse watch Ironman Run x50+ (HRM) is the optimal solution for sportsmen, who want be kept informed about their performance without always having to take the Smartphone out of the wristband. In addition, the music player of the Smartphone can be controlled via the watch! The Ironman Race Trainers show you all the necessary performance measured values. Having five interval timers with individual heart rate target zones, you have everything for an optimal organization of your workout. The set includes an USB Stick for the connexion with pc or internet.